Samsung's fall event has been traditionally been the big launch of the company's big screen phones. This year did not disappoint with the launch of not just one, but two different phones. These phones build off the launch of the GS6 earlier in the year when it comes to styling with the metal frame and glass faces. Let's take a look at the new phablets. I'll tackle the Note 5 first as many of the base specs are shared with the GS6 Edge+. The Note 5 is built around the same 5.7" form factor as the Note 4 and also packs an AMOLED screen with a Quad HD 2560 x 1440 resolution. Where the screen may not have changed, Samsung slimmed down the casing around it. Its 2mm narrower and 1mm thinner than the Note 4 while maintaining more or less the same height. The sides on the back are curved for a more natural grip. Samsung want the Note 5 to feel like a smaller phone than it actually is. The phone itself look almost exactly like a larger GS6. With that it also has a fully sealed body. If you wanted a removable battery or mSD card, the Note 5 isn't for you. Samsung has gone upmarket and plans to stay there. New for 2015, the Note 5 makes the jump to 64-bit with a new Octacore cpu with 4 high cores at 2.1ghz and 4 low cores at 1.5ghz. That allows it more power when it needs it, but the phone can also use its slower, but more power efficient cores to save battery life. The Note 5 has 4GB of system memory. It needs it as Samsung has backed in some hefty multi-tasking features centered around the updated S-Pen. The back camera is 16mp, same as the Note 4, but has improved software capabilities. The front part is upgraded to 5mp. The Note 5 doesn't make the jump to USB-C, but it now features much faster wireless charging. All in all, the Note 5 isn't a huge jump over the previous generation, but its a nice evolutionary advance over what was a very nice device. Don't let the GS6 name fool you, the GS6 Edge+ is basically the Edge version of the Note 5. The two phones share almost all features save the S-Pen on the Note and the dual edge screens on the Edge+ Without the need to stow the Pen, the Edge+ is even thinner and narrower than the Note 5. When it comes to the Edge screens, it not that much different than the GS6 edge other than the extra screen real estate. 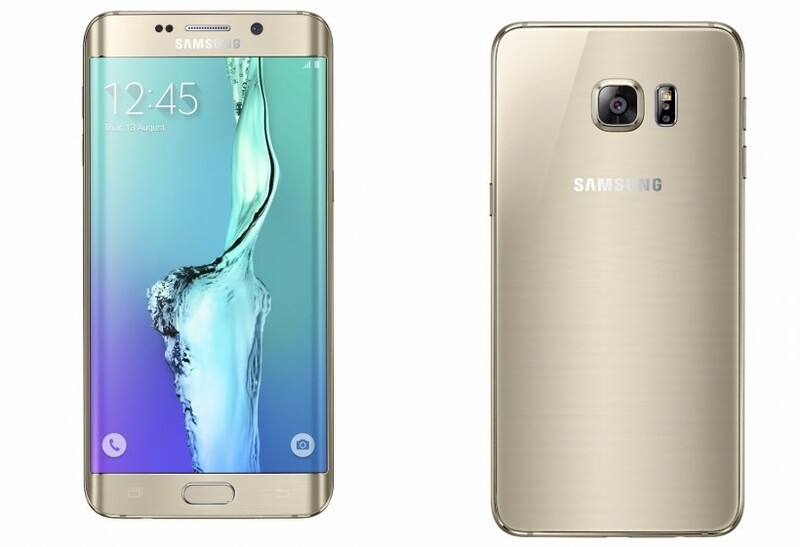 The GS6 Edge+ and Note 5 will come in 32GB and 64GB variants in White, Black, Silver, and Gold. The phone will launch August 21st with pre-orders starting on the 14th. The most interesting part of the keynote may have been the keyboard over. This physical keyboard works much like the keyboards on the old school phones the Blackberry. It covers part of the screen, but is fully reversible to the back when not in use. It seems a little out of place, but call me nostalgic, I like it. Samsung's entry into the mobile payments arena, aptly named Samsung Pay, is ready to launch. In fact, the first users will see it launch in beta on August 25th with a full release set for September 28th. Samsung pay uses tokenization and fingerprint security like Apple and Android Pay, but has the ace in the whole of being compatible with with Magnetic secure transmission in additional to the NFC used by its competitors. It already has the support of all 4 major card issuers and several larger banks. It'll work with the GS6 series and Note 5. All in all though, Beyond MST compatibility, the Samsung Pay portion sounded a lot like what Apple and Google said months before. One thing is clear though, the Phone payments game is on and with the added security, hopefully consumers are the winner.